As another year draws to a close, I find myself getting reflective about the past year, the new year ahead, and work and life in general. 2014 was a good year, all in all. 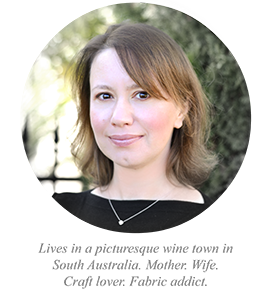 I probably never worked so hard in my life (and that's saying something considering I used to be a senior director at a big investment bank in London in my 'previous' life!). 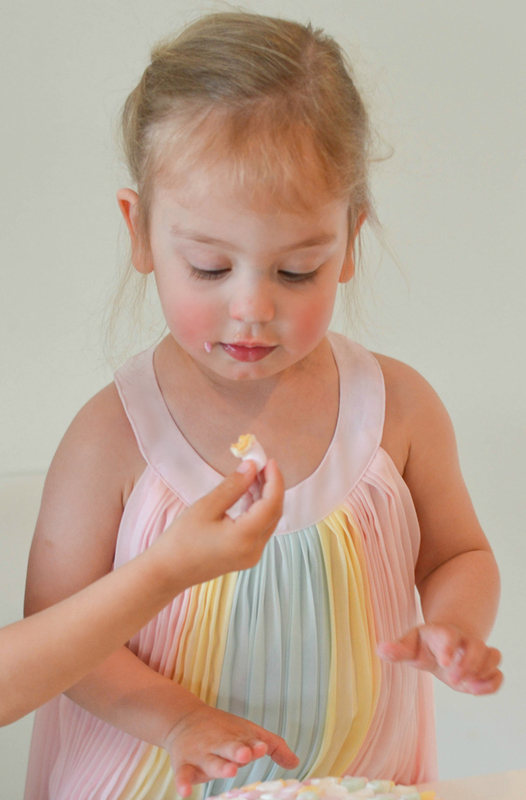 When you have pre-school age kids you tend to work when they are asleep, and with an Etsy shop to run as well as this blog, midnight sewing sessions became my 'normal'. But despite (and if I am honest, because of!) 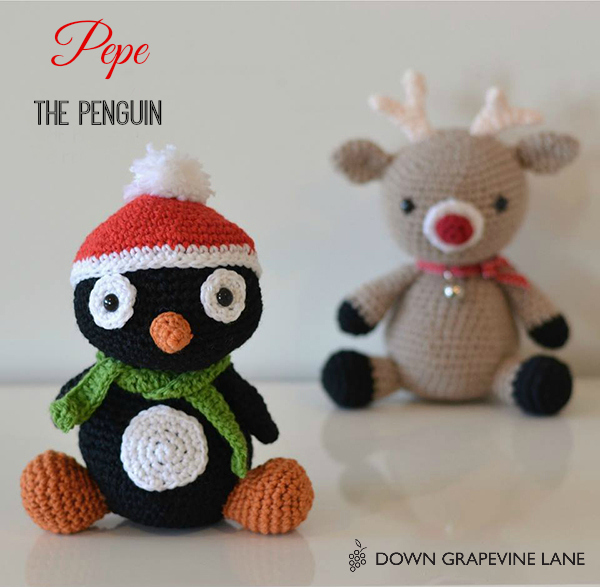 all this hard work 2014 was a fun and productive year for Down Grapevine Lane. 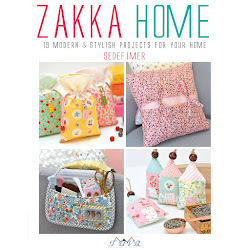 I learned a lot about sewing, needlework, crochet, blogging, photography, and running an online shop. Here's a quick round up of my 'makes' from the past year (you may notice there are one or two things here I haven't had a chance to blog about yet!). 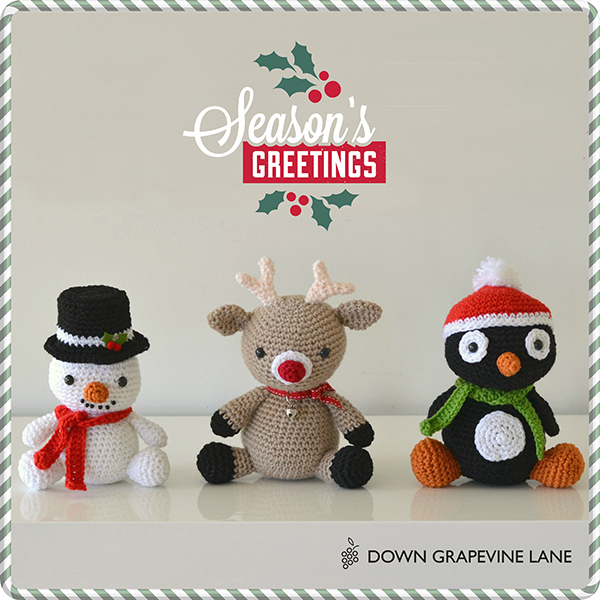 What better way to bid the old year goodbye with than this cute trio of festive animals. 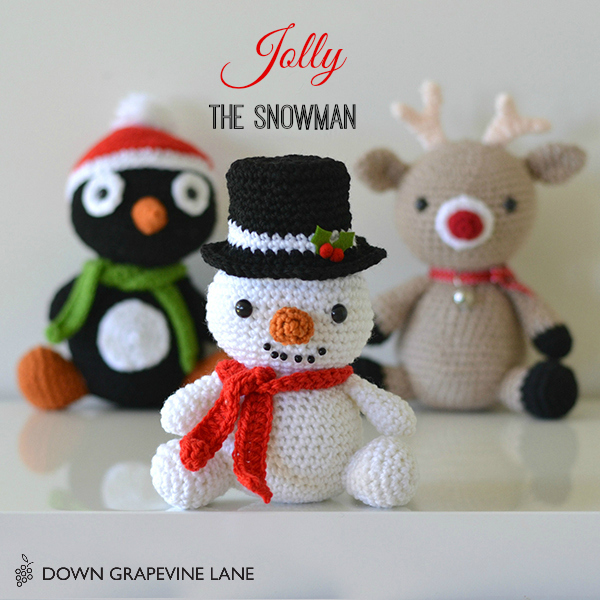 Meet Jingles the Reindeer, Pepe the Penguin (with his Santa hat), and Jolly the Snowman - all patterns by Little Muggles. 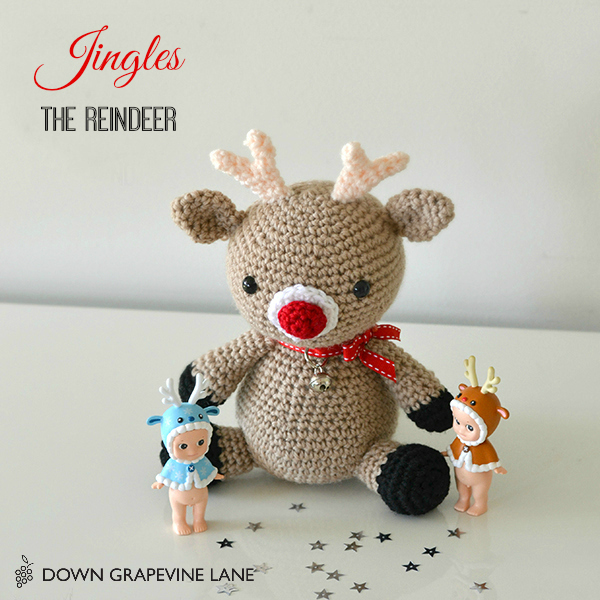 You may have noticed the semi-naked babies keeping Jingles company - they are little dolls made by Sonny Angel in Japan and we are all nuts about them in this house. 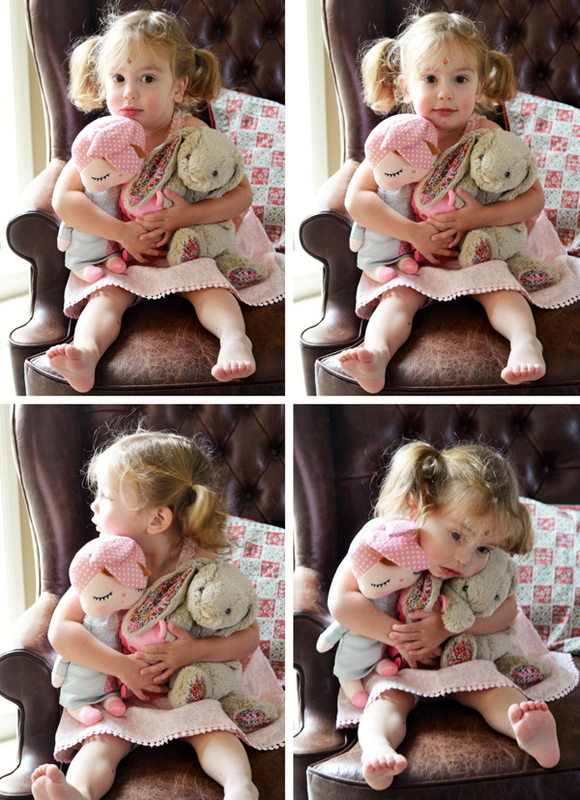 Alice in particular - she has a sheep 'babee' and she can't sleep without holding it in her palm. 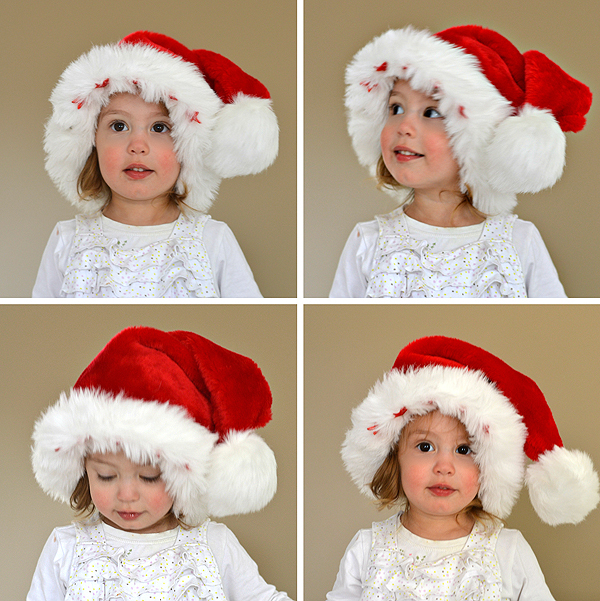 There are many different styles of Sonny Angels, ones with animal, fruit or cake hats, or limited edition dolls like this Christmas set. The Japanese sure know how to do 'cute'! 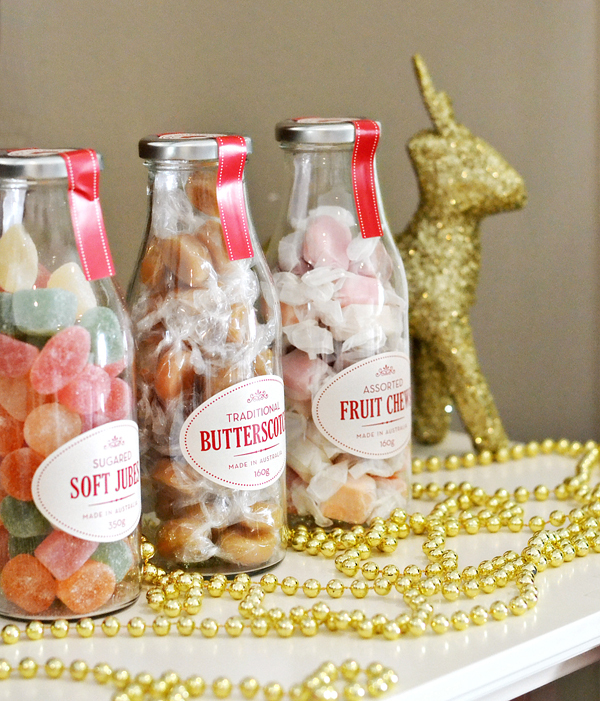 These sweeties tend to hang around my sewing desk, keeping me company (at the moment whilst I am indulging in some hexie paper piecing therapy, making a doll quilt for Alice). 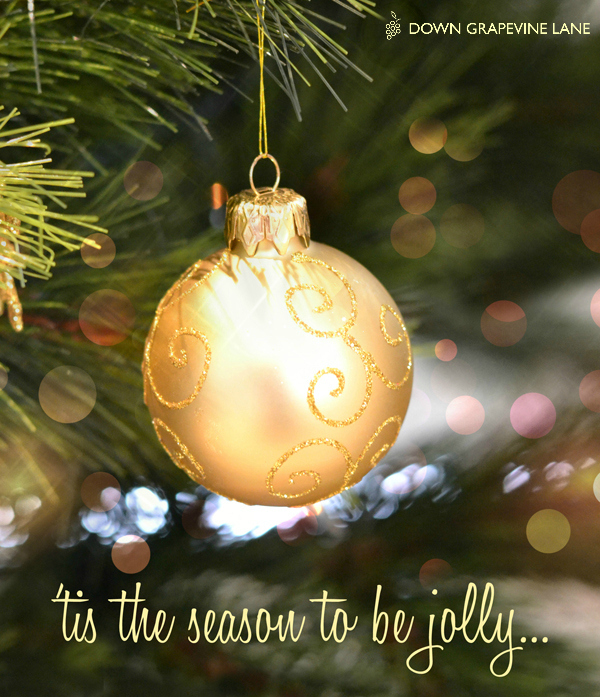 Season's greetings and my warmest wishes for a new year filled with happiness, good health, and cherished memories! Christmas came around so quickly this year! It was October, then I blinked and it was Christmas Eve. 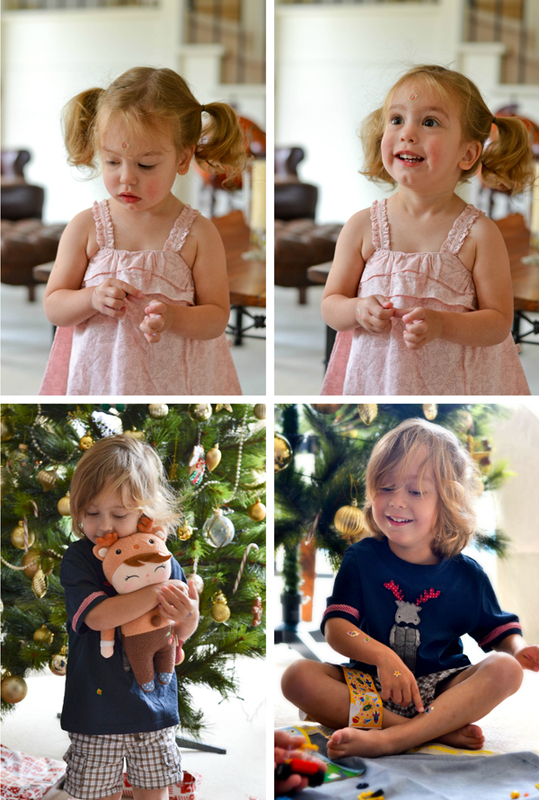 This was Alexander's first 'proper' Christmas, last Christmas he had a wonderful time but didn't really 'get' Santa and what Christmas day was all about. So the lead up to the day was almost as exciting as the day itself. We made a gingerbread house together, and he wrote a letter to Santa telling him what he wanted - "Hello Santa. I want Lego. Alex." Brief and to the point (well, it has to be as he's learning to write). He placed it on the table with a mince pie and glass of cognac for Santa (catering to 'our' Santa's British tastes - wink wink). 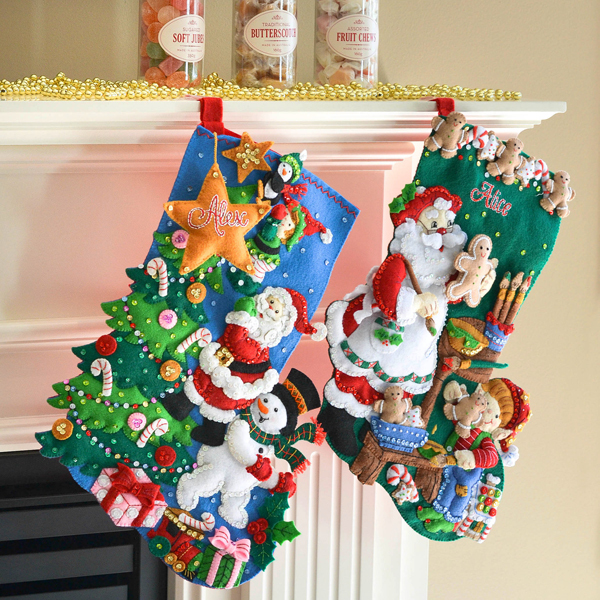 He also helped me to put up the decorations, including these two stockings I made for him and Alice. So without a further ado here is a random collection of snapshots from Christmas day at Down Grapevine Lane headquarters. Everyone loved their presents, though the turkey and trimmings lunch that I slaved over all morning was a bit of a flop with the children and they both insisted on having peanut butter sandwiches instead. Kids!! There were two Christmas miracles this year. I am actually in some of the photos, and I managed to pull off a 3 hour nap after lunch. Miracle indeed! Those of you who celebrate Christmas, hope you had a great one with your loved ones! 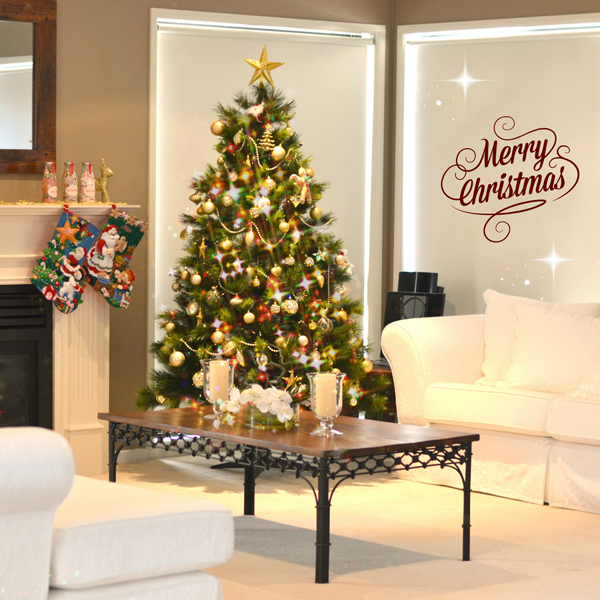 Wishing everyone a merry christmas and a happy and healthy 2015. 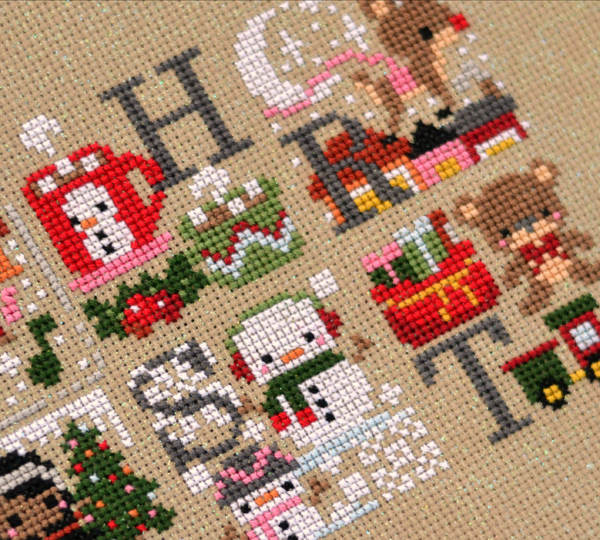 As for Christmas crafting - I have been working on the Christmas celebration sampler by The Frosted Pumpkin Stitchery. It's gorgeous! I can't wait to share the finished picture with you - I just need to find a frame for it. 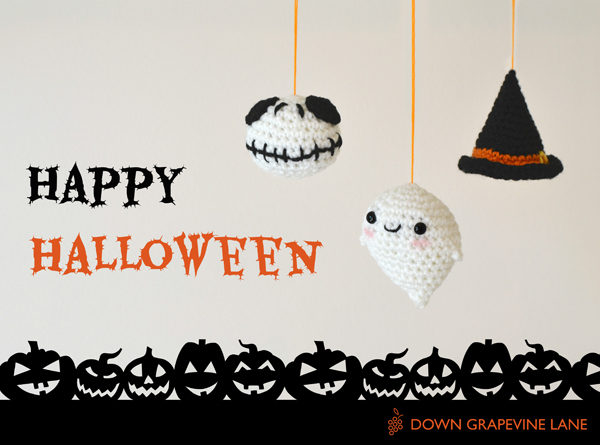 In February last year I discovered the world of amigurumi whilst browsing Pinterest - and I was hooked (get it? Ha ha! I know, I am so lame). 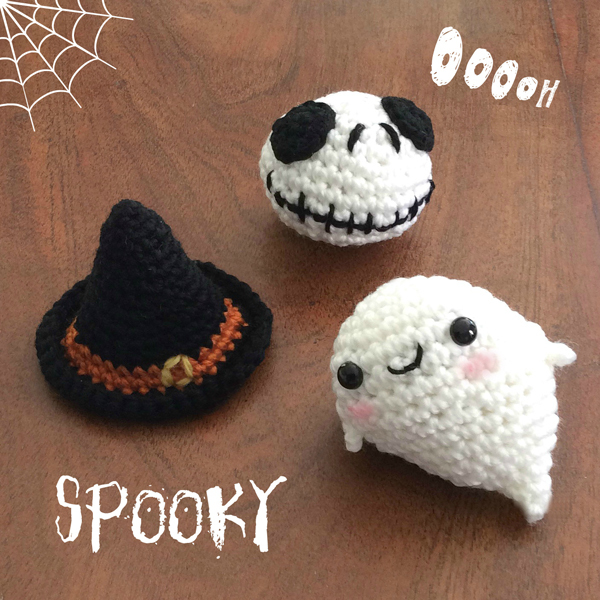 I must have pinned several hundred amigurumi that day, including these (links to all pics and websites they came from are on my Pinterest board here). 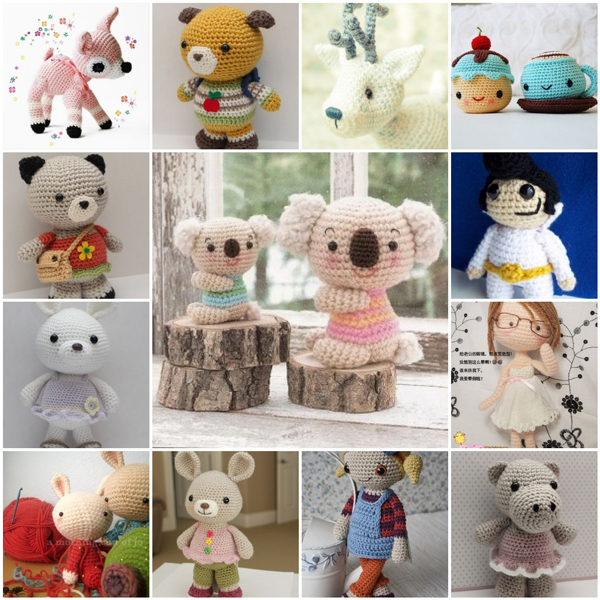 For those who aren't familiar, amigurumi is "the Japanese art of knitting or crocheting small stuffed animals and anthropomorphic creatures" (thanks Wikipedia). 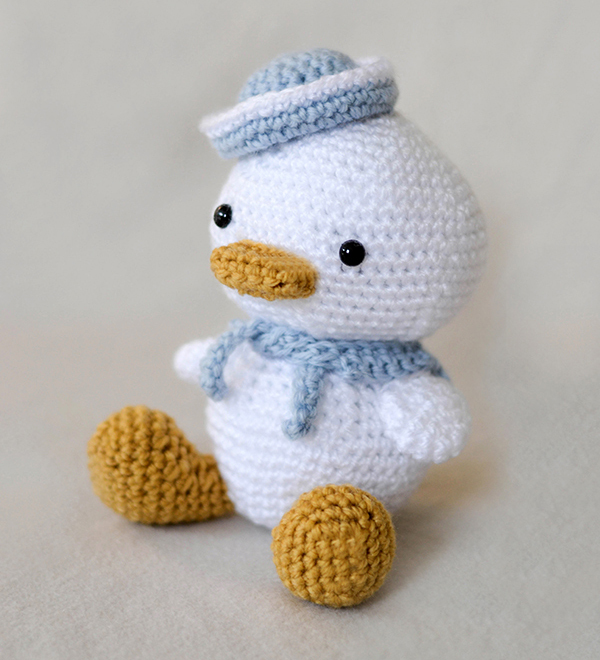 So I learned to crochet a few months later via an online video school (details here) just to have a go at making these. 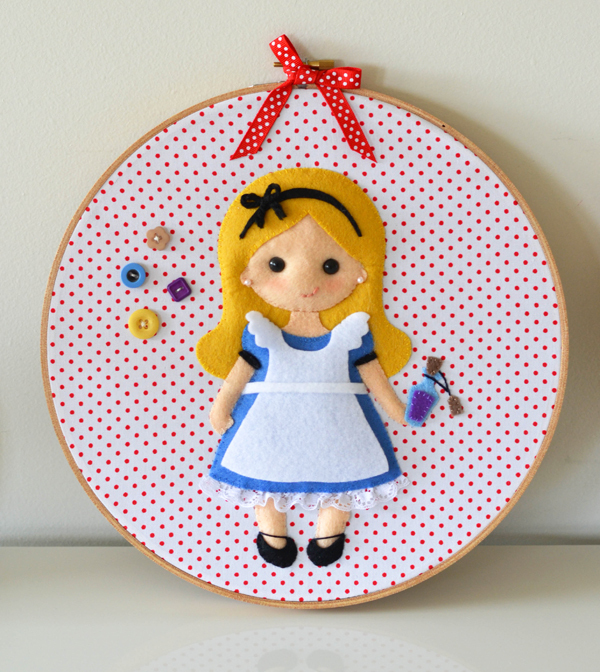 I have already shared pictures of some of the dolls and bunnies I have made since then. Those following me on Facebook and Instagram would have seen lots and lots more 'amis' on my feed (incentive to join me on social media?). I know, I know I have been really naughty not sharing them here sooner. Time to rectify! 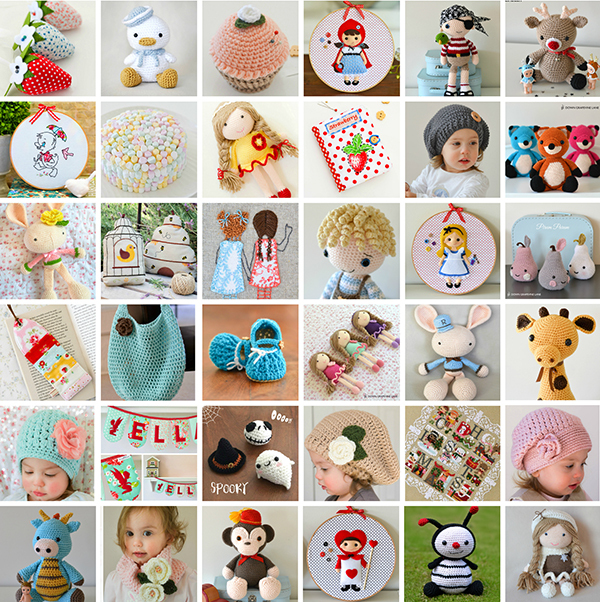 One of my favourite amigurumi designers is the wonderfully talented Amy from Little Muggles. I didn't know this at the time when I made the collage above, but quite a few of those designs are hers, you can see more in her shop. 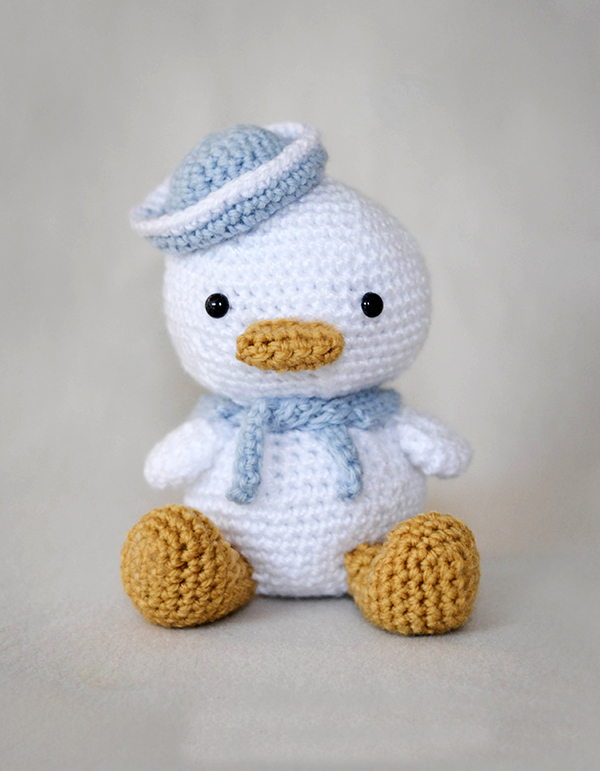 This one is called 'Lil Quack' and is one of my faves. 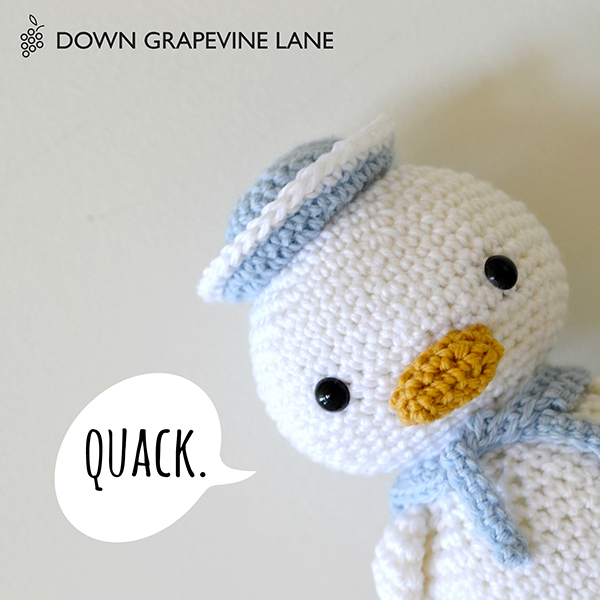 Has anyone seen a cuter sailor duck? 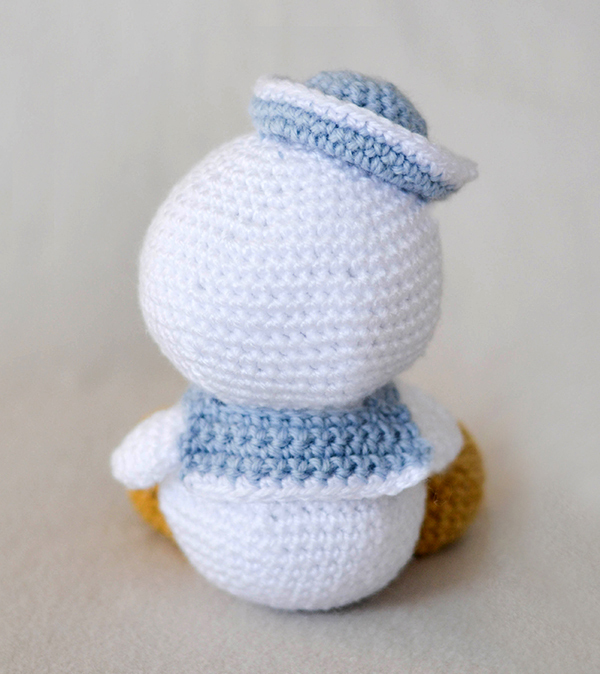 More amigurumi cuteness coming very soon. I am determined to enter the new year with my blog fully up to date with all my latest work, and there will be some exciting changes too (including a shiny new blog design, and changes to the way I run my Etsy shop to allow me to have more time for blogging, and life in general. Sleep would be nice too.) Stay tuned! 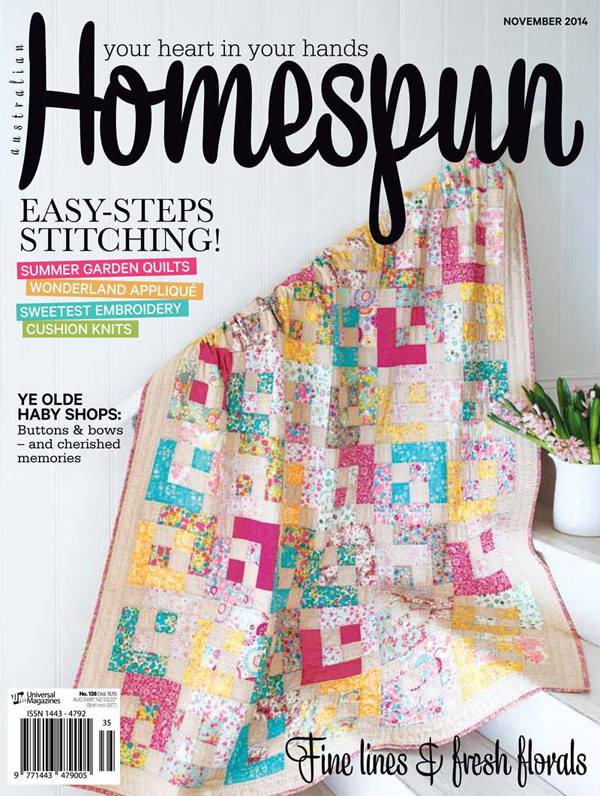 The November issue of Homespun magazine is out today! 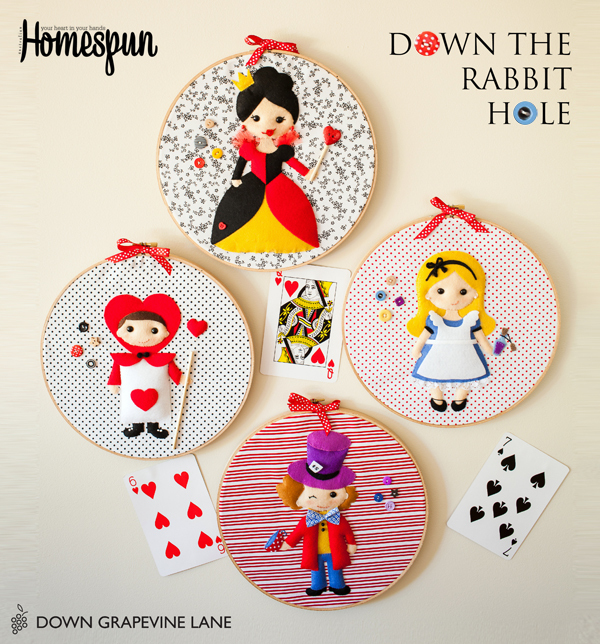 Featuring my third project for them: a set of Wonderland hoop art. The feature has a full step by step tutorial over 10 pages. 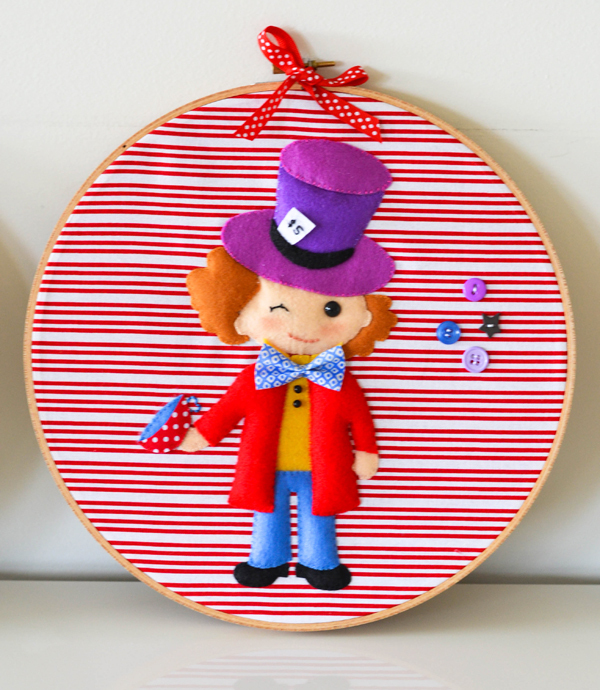 The characters are felt applique and entirely hand-sewn. There is some light padding behind the felt pieces to give the hoops a 3D finish. 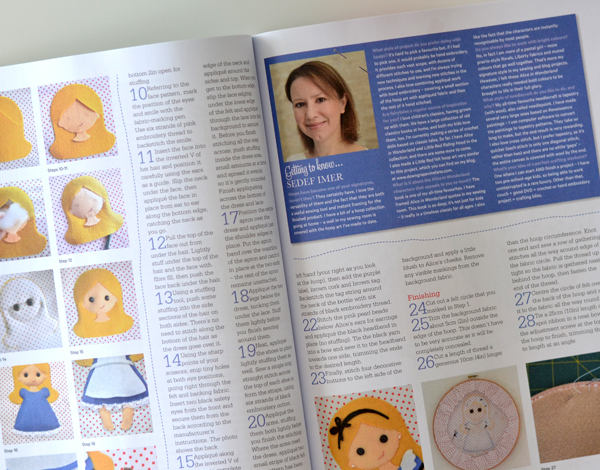 I showed my picture in the magazine to Alexander, who said: "Mummy! How did you get into the book?! Am I in the book? I want my picture in the book too!!" 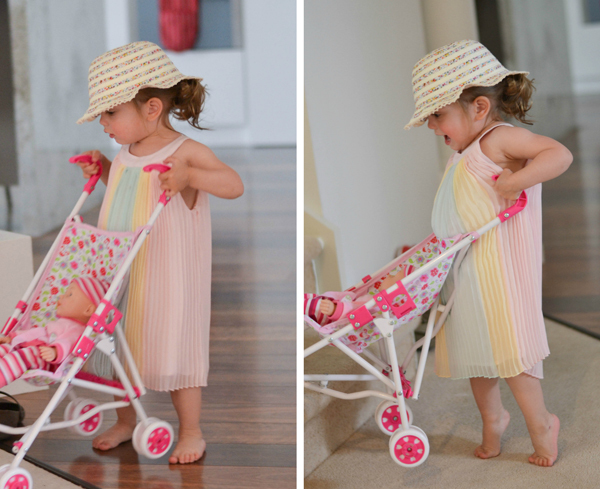 (cue tantrum - oh the joys of three year olds). Bless him. 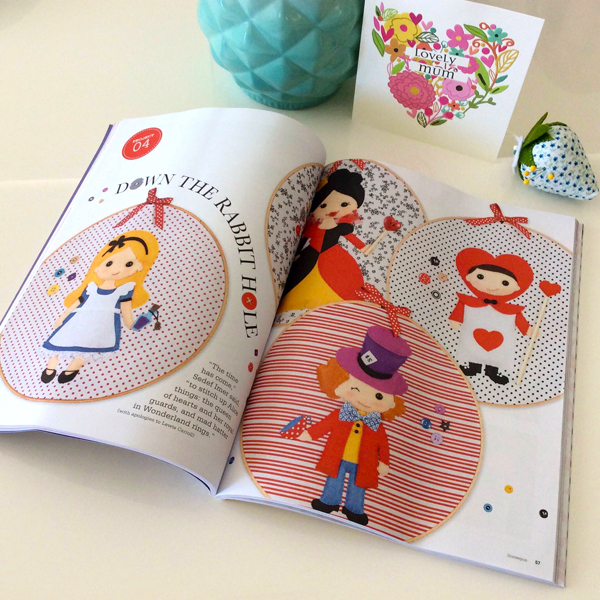 If you would like to make your own Alice hoops, Homespun's November issue is available in the shops from today (also available digitally for those outside of Australia, in various formats including Zinio. Follow this link). 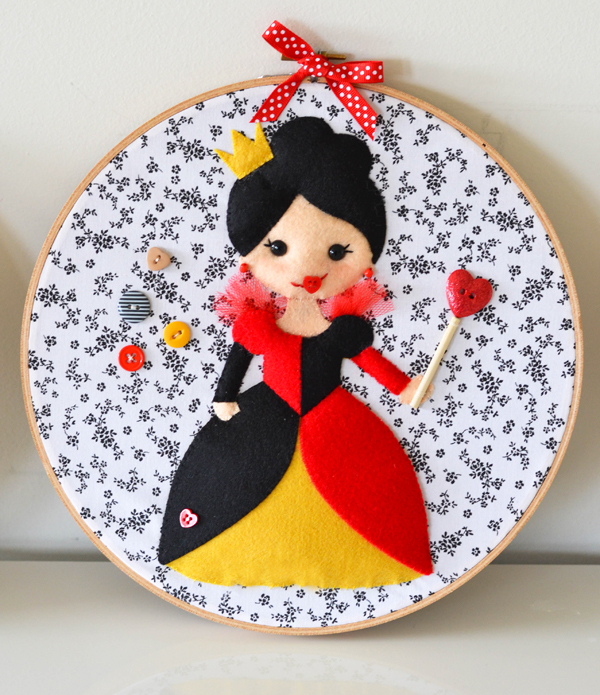 ps - If you like this project, you may want to check out my Little Red felt applique which was posted here in April 2014. Instagram is my new addiction, I am seriously hooked! My insta-feed has been full of Halloween crafts lately, which have been inspiring me. Unfortunately I didn't have any time for a big project (seriously buried under a mountain of custom orders, lots and lots of late nights here - yawn). So I decided to start a new tradition and make a few super-quick Halloween-y ornaments. I am planning to add to these every year, until I have enough to decorate a tree (and by tree I mean a collection of bare black twiggy branches). These are really quick to make, took me 15-20 minutes each so they were all done and ready to hang in an hour. 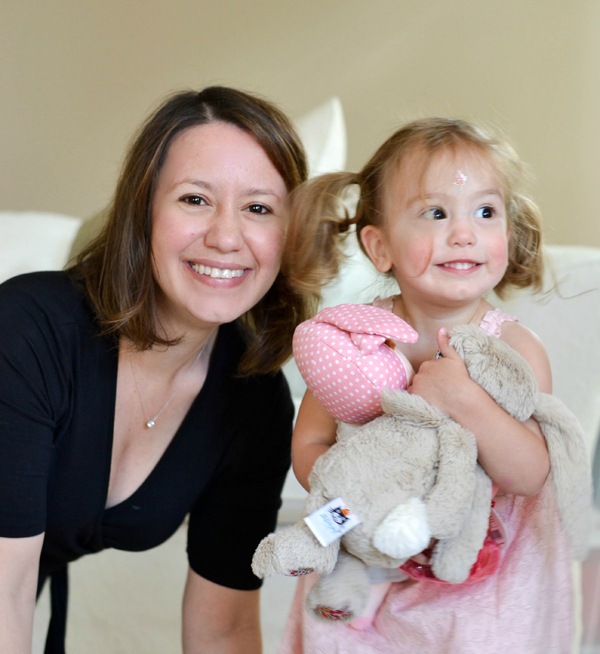 I mean seriously, how cute is that baby ghost?! 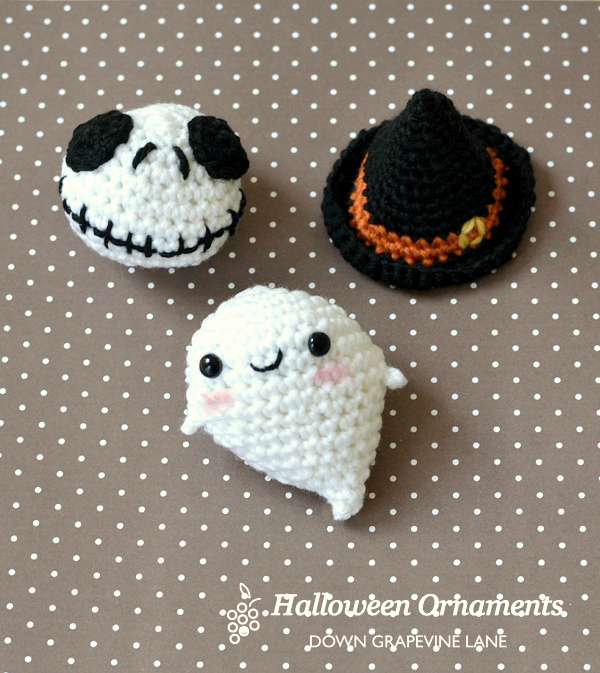 Pattern credits and links as follows: the baby ghost is by A Morning Cup of Jo, Jack Skellington is by Little Things Blogged, and the witch hat is by Lion Brand Yarn. Enjoy! Two years ago this cheeky girl was just a few days old, and had already won our hearts. Look at her now, baby no more! 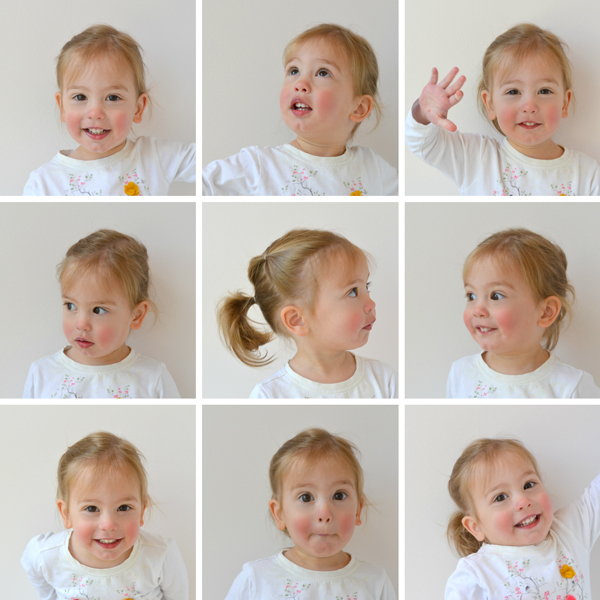 (Every now and again that fact hits me when I'm looking at her photos or when she does something really really grown up). If you were to ask her what her favourite food in the world is, she would reply 'those'. 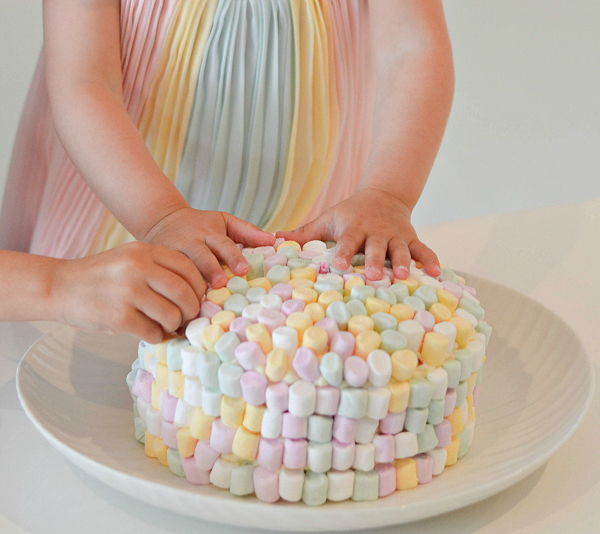 'Those' is her word for mini marshmallows, the little ones from the baking aisle you put in muffins and rocky road. "What do you want Alice?" So I simply had to make her a cake covered with 'those' for her birthday this year. 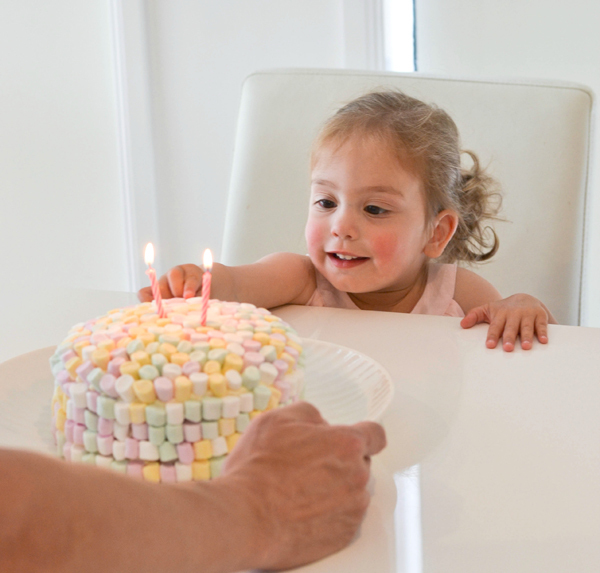 Who knows what she will be into next year, but this year, it's marshmallows. Now, I am no Nigella in the baking department, and it's been a while since I made a cake. 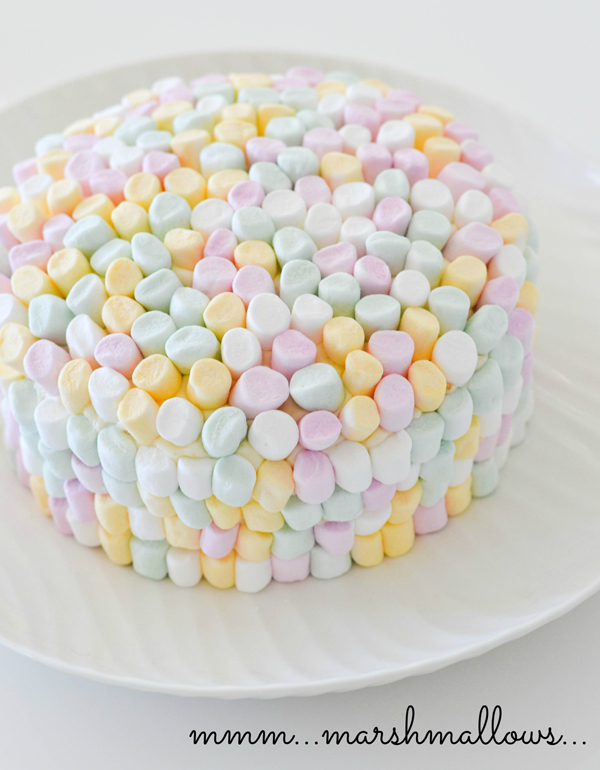 Luckily for me decorating a cake with marshmallows is HIGHLY forgiving. I am quite pleased with the overall effect (don't look too closely!). And then a couple of weeks ago I was browsing in my local Target and I spotted this chiffon dress. 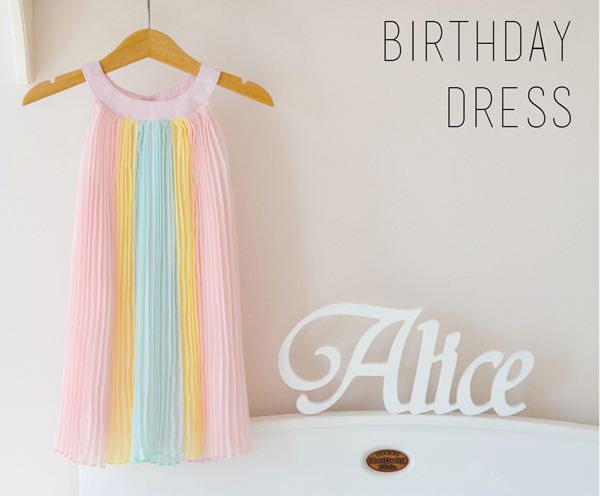 At the risk of being disowned by all my dress-maker friends in the hand-made world, I put it in my basket. 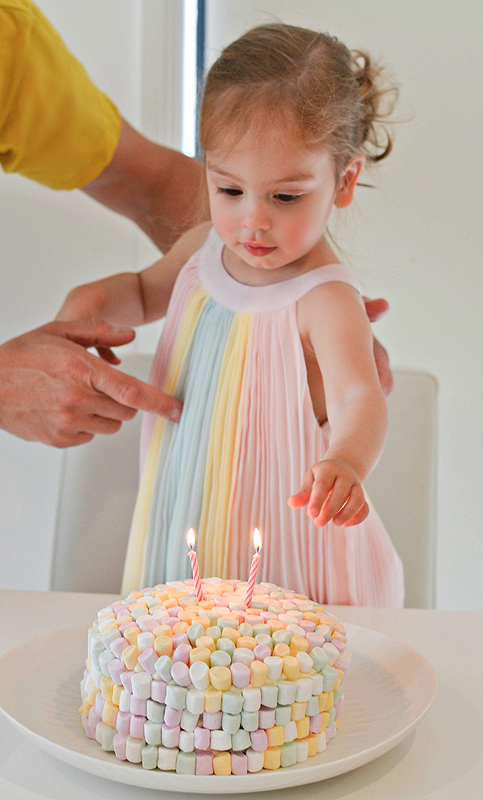 It was too good a match with her (at that stage, planned) cake not to. We had a little family celebration just amongst ourselves. 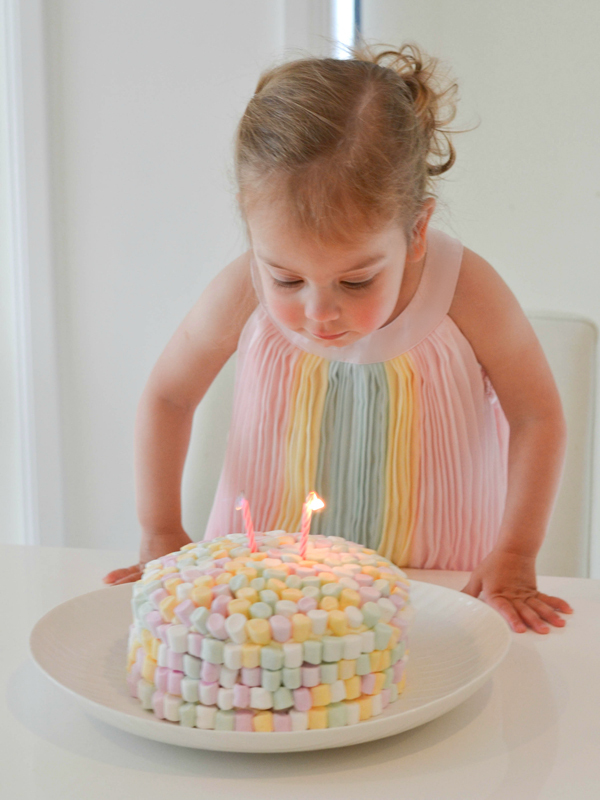 As predicted, she LOVED the cake, and was picking marshmallows off it before it even hit the table. 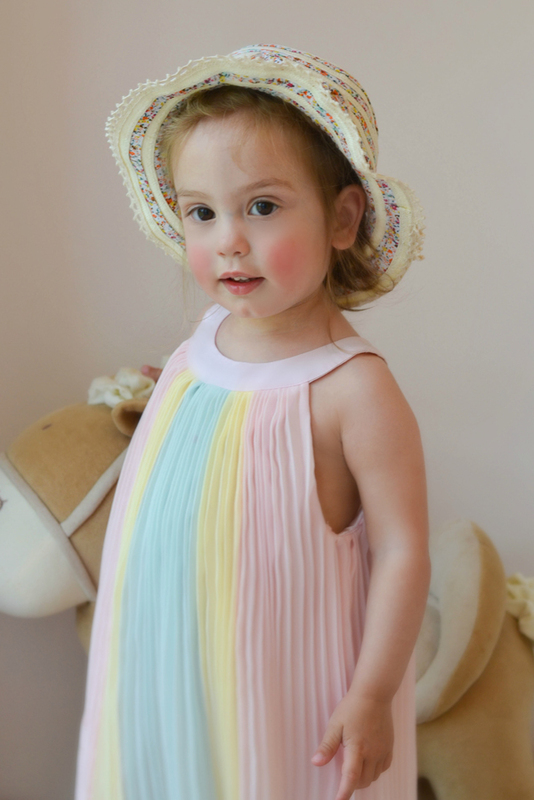 As presents she got a doll, a little pram, and a straw hat. All of which were huge hits. 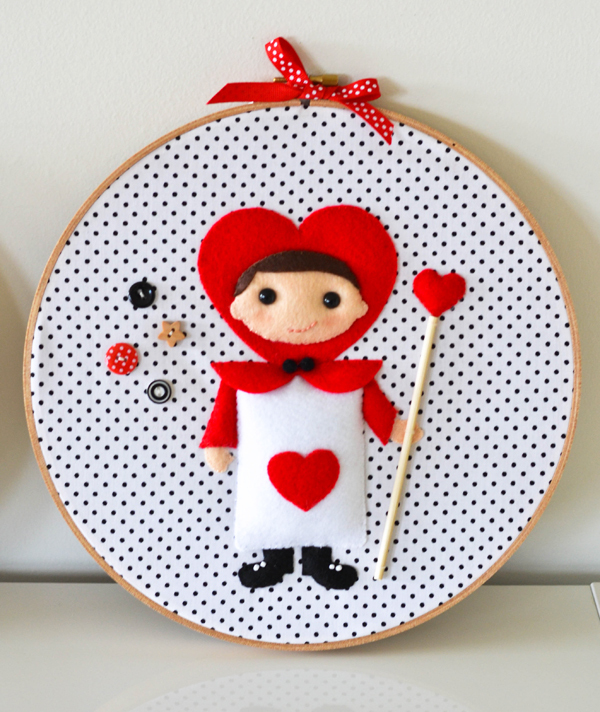 She was also going to get a little wooden bed for her doll and a patchwork mini-quilt and pillow, but I couldn't finish them in time (sorry, my love!). She will get them for Christmas. 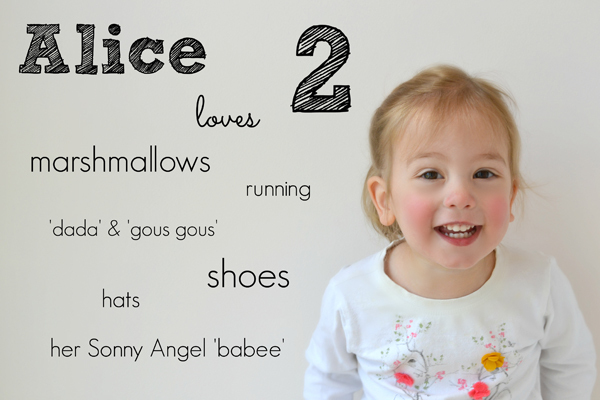 My gorgeous little girl, my sweet Alice - happy second birthday darling. Thank you for choosing us as your family, and for all the laughter and joy you have brought into our life.